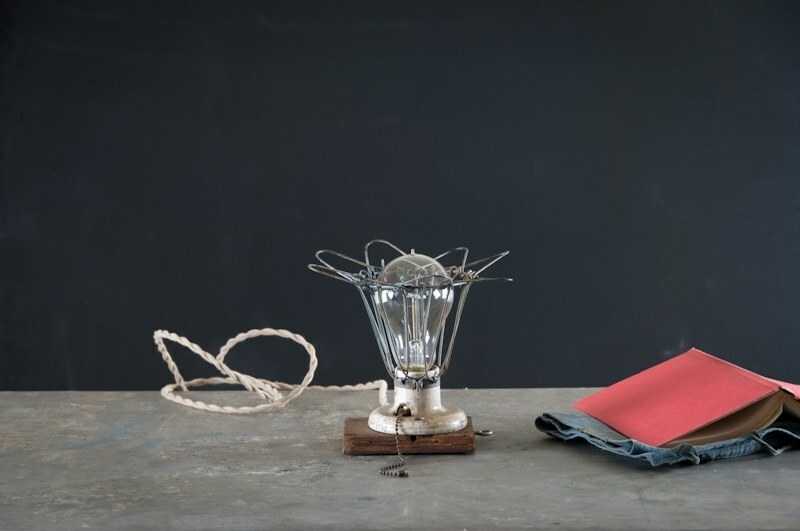 USA, 1940s, Vintage Industrial Cage Light. 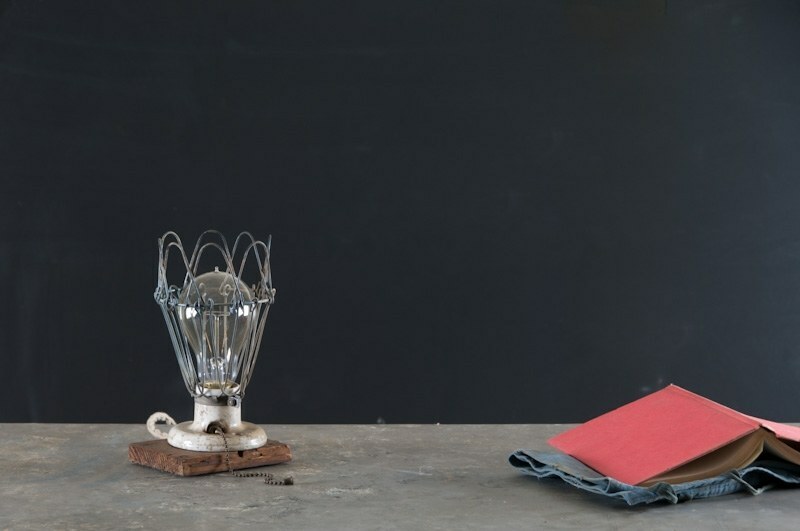 Can be Used as a Desk lamp or mounted on the Wall Using the Eyelet. 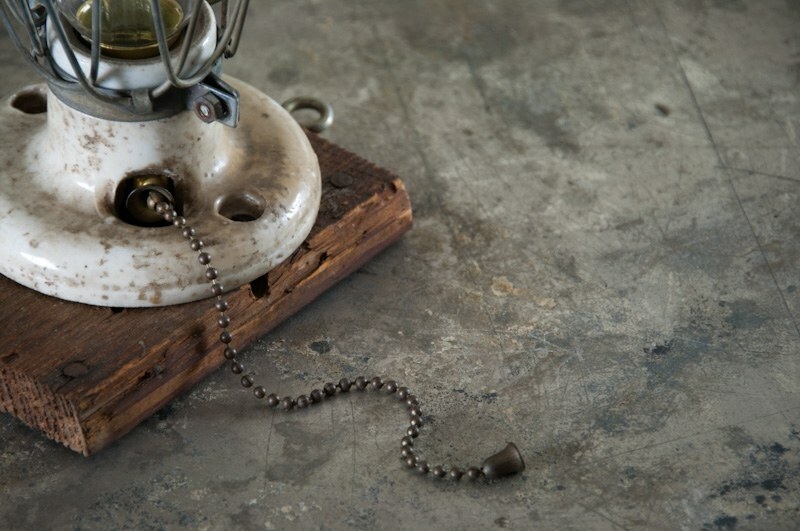 Porcelain Socket with Pull-chain. Old Growth Wooden Base. Rewired and Ready for Use.